C'mon... I know that all of youse knew that sooner or later someone like me, who addresses the theme of icons in his artwork, would get to the first true supermodel in planetary history. Below is a trial drawing for a much larger (eventually) video drawing of the breathtaking Bettie Page. 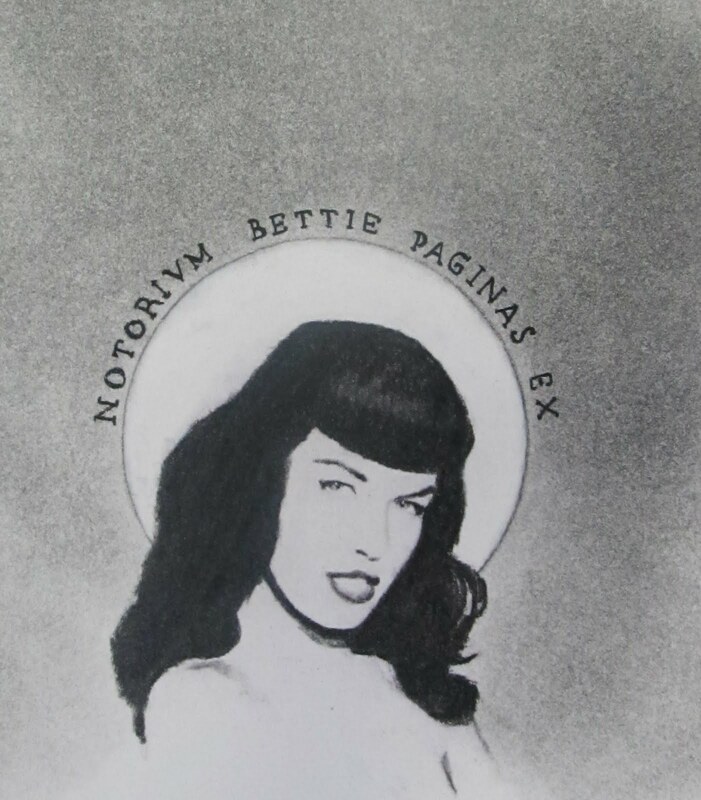 "Notorium Bettie Paginas Ex", charcoal and conte on paper, 6x5 inches, 2012.